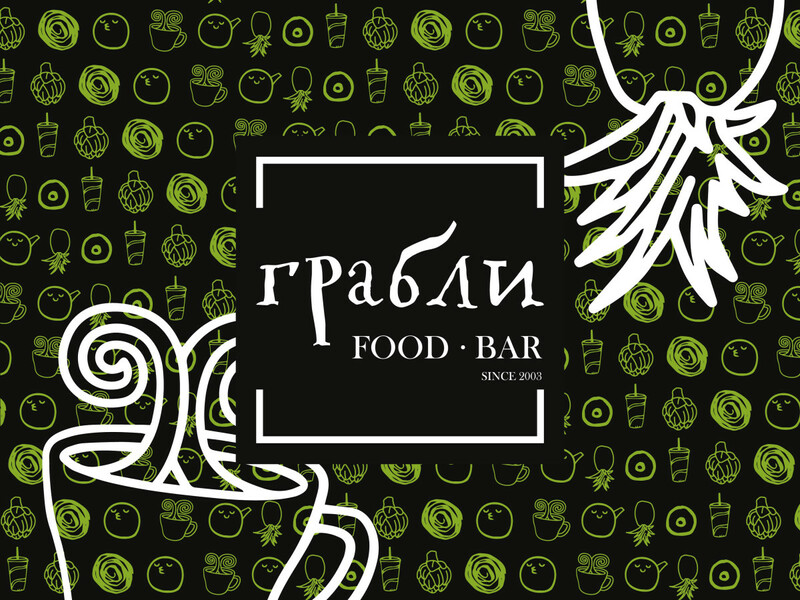 The Grably restaurant chain represents its subsidiary brand – Grably Food Bar. It upholds the advantages of our most popular restaurant chain – the style and uniqueness of original interiors, reasonable prices and a varied menu. With that said, the new concept is even better adjusted to the rhythm of the city, the Grably has become more convenient and accessible. The location is perfect – in the historic centre, within walking distance from the Kitai-Gorod metro station, where the atmosphere of one of the most famous and ancient old streets, very close to the Kremlin, is in accord with the spirit of modern times – the Zaryadye Park is spread out not far from here. Comfortable, stylish space with panoramic windows is provided in two levels. While sitting on the cosy couches and chairs it is interesting to observe what is happening outside. Natural, soft shades prevail in the interior. The separate elements, made in the Loft style, gently remind us of the life pulsing through a great city outside. So all the more pleasant to enjoy your break and to relax. You can even remember your childhood playing on a swing, and funny panel pictures and inscriptions will surprise and make you smile. The range of dishes available will fit every taste and budget like everywhere within the Grably restaurant chain. In the Food Bar you may have either a snack or a proper dinner as well as a take-away food. Keeping up with the times and being on time all in a breath will be much easier with our Grably Food Bar. Welcome to 1/2 Solyanka Str. To take a breather, to recharge and to move on then.